Originally published in 1894, this edition is 1978 by Southern Historical Press. Cover shows some wear, name sticker on inside front cover. Inside pages are clean and in nice condition. Note: We also offer this same book in searchable PDF format on our A Reminiscent History of The Ozark Region (Arkansas and Missouri) CD. 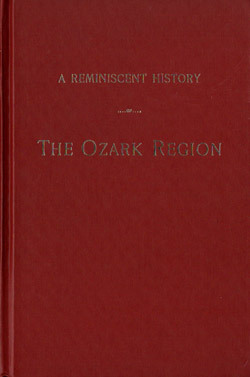 See the A Reminiscent History of The Ozark Region CD for a complete description including a full list of the biographies from 1894 that are included in this book.